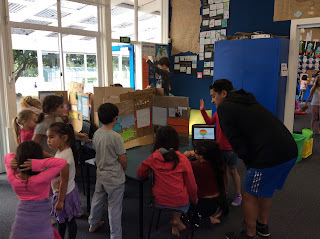 On Wednesday we had our school Science Fair. The children have worked very hard over the last 3 weeks to learn about Science Investigations and the Scientific Method. They chose their own investigation questions and planned a fair test to complete on their chosen topic. They learnt about the importance of having constants and a variable when carrying out a fair test. 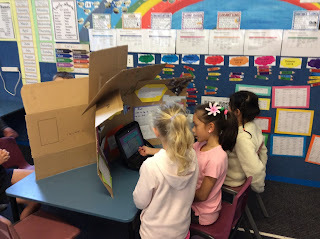 Check out our individual blogs for reflections on our learning. Here are our finished Science Investigation boards. 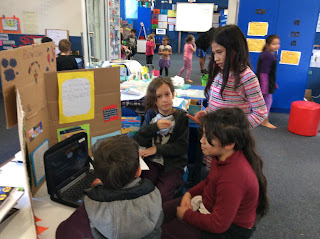 Here are some photos of us sharing our learning at Science Fair. Thanks for sharing your science fair. I had a look at the photos and it looks like you have had some creative thinking around your investigation questions. How did you decide on your questions? I remember doing science fair when I was at school. One of the things we looked at investigated were how different fabrics burnt. It was very interesting to time how long it took for the same size piece of different fabrics to burn. 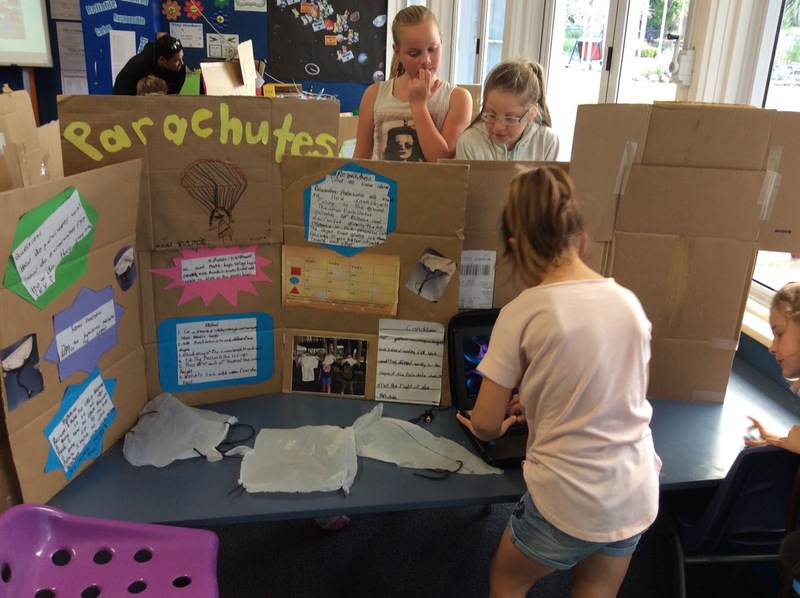 Did your whānau come along to check out your science fair? Hi Tania. My group decided on space. We thought about rockets then an idea came to my head. What about a water rocket. It was very fun although it didn't work my group and I learnt a lot. Tania that sounds like a cool topic. My group decided on a coca cola and mentos explosion. We had 2 methods and a couple of videos. We found out that when the mentos went inside the coca cola it did not explode it only fizzed. My group was interested in helium balloons. Our question was: Does the weight of the balloon affect its flight? Yes it did work. 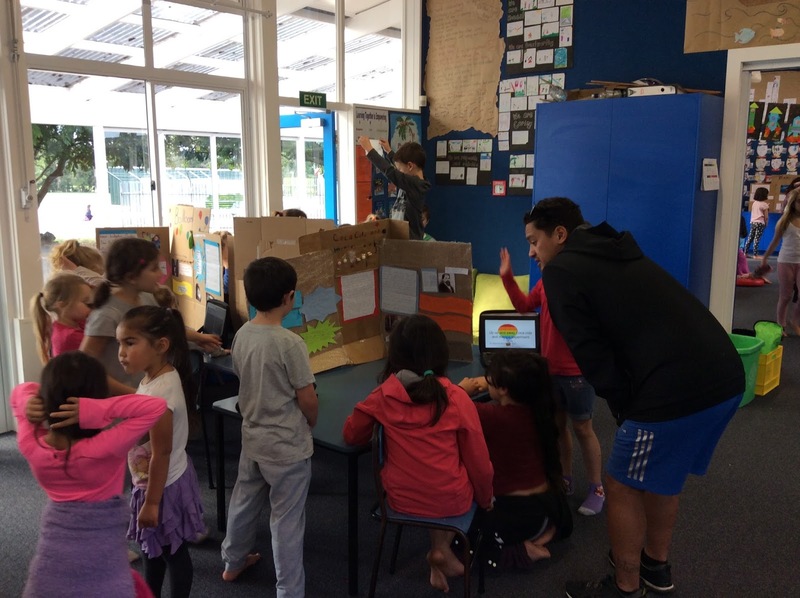 Our whanau did come and see our science fair. My name is Brooke S. Our question was Does the weight of the balloon affect its flight? We decided this because we liked helium and our focus for the fair was up, up and away. Hi Tania. My group was interested in rockets so we decided to make a water rocket. It was really fun but we got wet. It didn't work like we wanted it to. My dad came to look at our science work. Hi Tania. My Group decided on Parachutes because our theme was up, up and away (flight). Our question was does the weight of the object affect the flight of the parachute. And we noticed that the weight makes them land at different times. Hi Tania. My group did a science experiment about parachuting. The whole science fair was based on our term theme: Up, Up And Away! Our original idea didn't work very well so we tried a new idea. Our new idea worked so we stuck with it. My mum and my younger sister Abi came to look at my brothers and mine. Hi Tania. My name is Annelise. My group was working with balloons and helium. It was a very fun experiment to be apart of. We got to go and get the helium from a lady that supplies it. We emailed her and asked if she could help us with our experiment and she said yes. Hi Tania. Anthony and I decided to make hang gliders. We thought it would be easy to make the hang gliders. Our question was: does the shape of the wing affect the flight?. Yes it did it worked awesomely. Our theme for the Science Fair was Up, Up and Away. My group decided on coca cola and mentos explosion. Our experiment didn't work because we might of not read our method properly. We found out about the people who invented our experiment. Also ours didn't work very well - they didn't explode, they only fizzed. 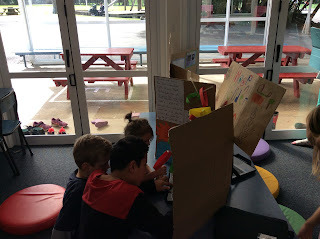 My group and I choose tanks because we were all interested in finding out about tanks. We looked at the firing part of the tank and experimented with the angle. The 45 degree angle sent the bullet the furthest.